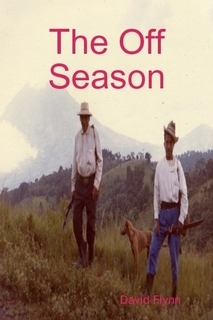 The novel The Off Season concerns a group of young American men and women on an adventure road trip through Central America. The five stumble into a bloody feud between two ex-Nazi generals who own rival campgrounds in Guatemala. Within the group romantic rivalries threaten to break friendships. Now they become part of a murderous showdown by accident. Other campers in the novel are caught in the shooting also. They include an Nazi ex-private, a Czech motorcyclist, and a sophisticated Canadian woman. The novel is from the viewpoint of one of the young American men. ;Buy the Paperback or eBook Now at Lulu.com.